This is another big loss in nail polish in my opinion. When Maybelline shifted to their Color Show collection they had two years of spectacular holiday limited edition collection. In 2012 it was their Sequins collection and in 2013 they had their Brocades collection. I purchased every single one of those polishes in both collections. In fact, my review of the Brocades collection is my most popular to date. I still get daily views of it! I waited and waited in 2014 for another Maybelline holiday collection to pop up and nothing ever came. I think 2013 was the end of awesome drugstore polish. I haven't seen anything really notable at the drugstore in well over a year and half. That being said, let's go back in time to this 2013 Maybelline Brocades beauty. 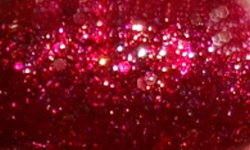 Crushed Crimson is a deep red with a golden shimmer, red hex glitters, and gold hex glitters. Color: In most cases shimmer and glitter combos do not work. In Crushed Crimson and this whole collection it works. This is a stunning red with so many beautiful blingy aspects. The shimmer and the glitter really give this a beautiful effect. I love the intensity of this color and all of the added bling. Formula: Excellent formula. I used 2 coats. Price: The problem with drugstore limited edition collections is once they're gone...they're gone. I've seen some other colors from this collection pop up on eBay, but this is definitely going to be HTF. Overall: Crushed Crimson is a stunning nail polish. 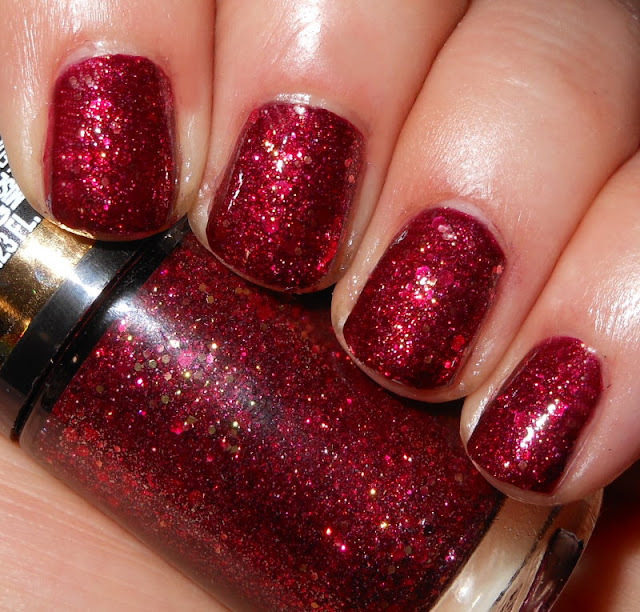 I love the combination of shimmer and glitter in this polish and the red base. This color and the others in this collection I will always cherish. These are polish I will never de-stash. They're beautiful, unique, and one of kind!